Some people can't afford an expensive banjo. Part of our quest over many years has been trying to find that perfect banjo sound. 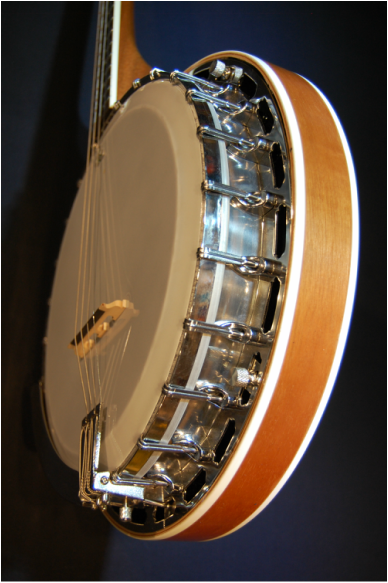 That usually costs a lot of money and we make superb and beautiful banjos for the maestro. But beautiful music is in the soul and if it's there it can be brought out through the fingers if it's given the best chance. 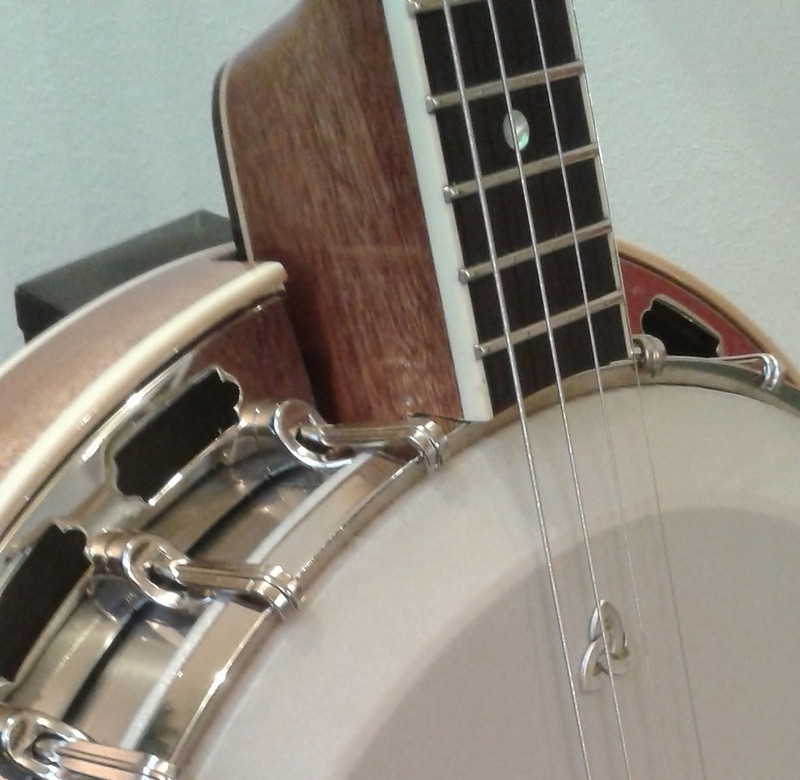 Musicians with less money have always struggled to upgrade their instrument - part of the secret lies in having a lovely sound and a perfect set up in a more affordable banjo. 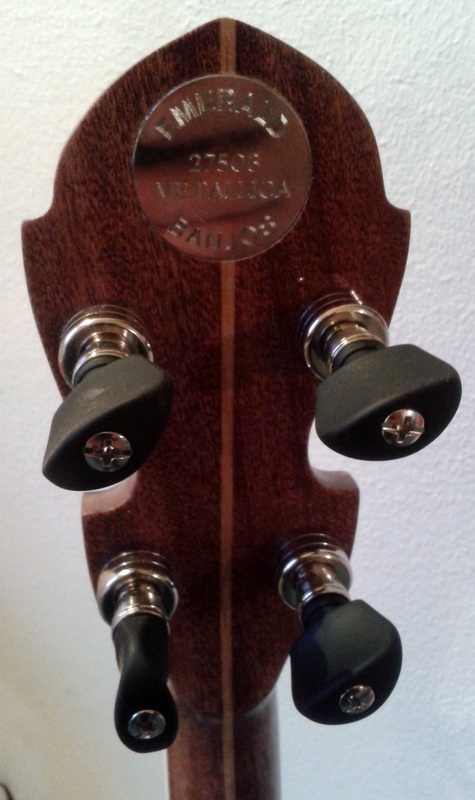 That's what our very affordable EMERALD METALLICA ARCHTOP banjo is all about. €1295.00 buys you a really cool EMERALD METALLICA which is better in sound and set up than ANY other banjo at that price. And it's got the usual unique EMERALD BANJOS look. 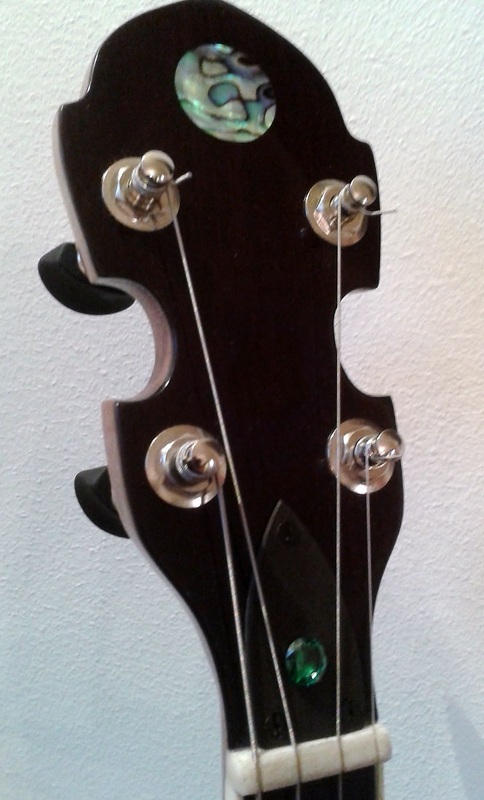 The neck and resonator are in a highly finished mahogany with an alloy body. 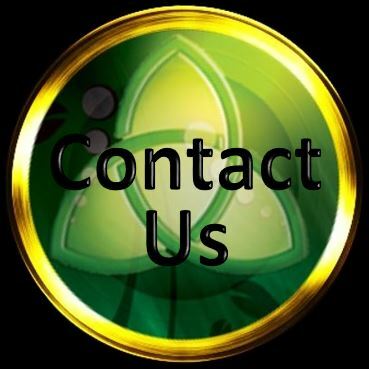 The extra volumetric capacity inside the rim assembly helps to ensure a superb sound of which we're very proud. This is the perfect banjo for those wishing to hone their playing skills and is excellent for competition work of all standards.